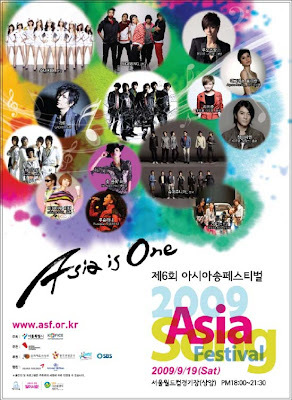 Agnes is now in Seoul for the 2009 Asian Song Festival, I wish her all the best for her performances on stage. Two pics here shows her at the ASF press conference, with other famous participants. She injured her leg a short time before departing for South Korea, so I don't know if she'll be doing her fantastic moves as she sings today...we'll just have to see later...I'm crossing my fingers...good luck, Agnes !